New York – a buzzing city which never sleeps and lots of people living obviously on the streets and in extreme poverty. The discrepancy between rich and poor is certainly as extreme as in South Africa. 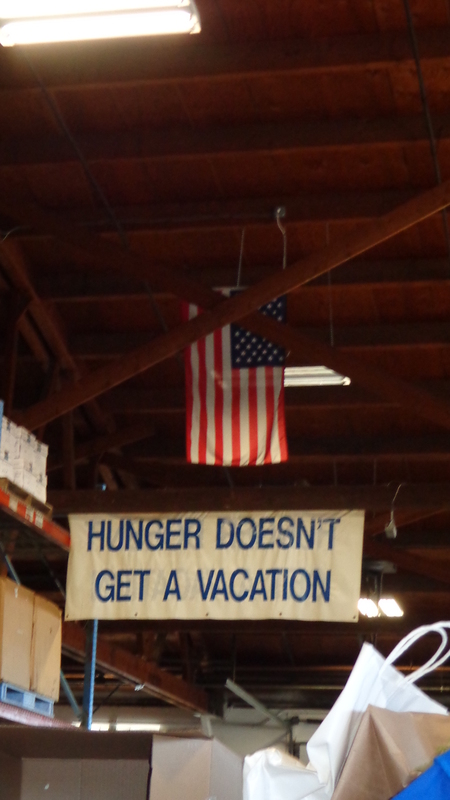 Somerville – visit at one of the three food banks in the county. 850 people are regulars at this food bank, which is supported by church communities and private supporters. My question, whether they get expired food from the big supermarket chains is denied. The fear to be brought to court when somebody gets sick from expired food overrides any charity attempt. I meet two women, mother and daughter who are living in their car: house gone, job gone – car and food bank keeps them going, at least they have a place to stay in the bitter cold winter nights of New Jersey. The food bank is placed within an industrial zone – far away from the city center and I guess it’s too far for a lot of needy people. The city has no interest to have it close by – poverty should not be seen in the city center. Watching TV in the evening – FOX news and others. The way, politics is presented and commented leaves me speechless. I am used to a lot of nonsense in South African politics – but the stupidity of comments on American TV leaves me often speechless. These are no news, that is indoctrination – Gupta news on a well advanced level. It is scary to think that something like this will emerge on that scale also in South Africa. It seems to me, that the US and South Africa are not that far away on certain levels. The incomprehensible way of politics, the gap between rich and poor, the impact of poverty and unemployment on society, violence of all sorts. The USA is a country which combines first and third world as South Africa does – it is interesting that we perceive one as a world power and the other as an emerging country. How relative is our judgement? Speaking to people on the ground and in the social services I realized how much we can share and work on together to create a better world for all, not for only those more fortune. And when it comes to HIV and AIDS, some areas of the US and some populations are as in the same bad shape as South Africa. It is amazing that we in South Africa achieved so much when it comes to treatment due to the assistance of the USA, a country which seems to struggle to get their own people on adequate treatment. Well, of course they are major differences between the USA and South Africa. But at a closer look there are much more similarities and common ground then we usually think. This common ground gives chance to close cooperation and joint ventures looking eye to eye. Any attitude on any side would be wrong.